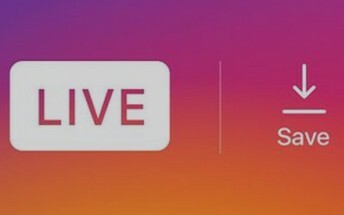 The Instagram app has started receiving a new update that bumps the version to 10.12 and brings along the ability to save live videos. Specifically, the service now lets you save your live videos once the broadcasting has ended. To use the feature, tap the Save icon that appears on the top right after your live broadcast has ended. This will save the video to your phone's camera roll. Note that only the video will get saved, and not things like comments, likes and viewers. The feature is rolling out to both iOS and Android clients of the service.